America can be proud of many things: our innovation, generosity and entrepreneurial spirit are unsurpassed. Yet when it comes to our nation understanding one of the greatest gifts ever given to humanity—the Bible—we're moving from dumb to dumber ... and it's no laughing matter. Both inside and outside the church, there is a problem. Non-Christians don't have even the general idea of the Bible they once did. Christians are not seeing the life change that real Bible engagement brings. The result is a nation in spiritual free fall, and while most cultural analysts point to such culprits as church leadership scandals and government failings, the true answers start with the foundational Word of God—if we'll take seriously the challenge, look to best practices in the research, and faithfully and fruitfully engage the Scriptures. The Bible's impact on American culture is unmistakable; it has shaped our laws, social systems and even language. People unknowingly quote biblical phrases every day. It's a tragedy so many have used phrases such as "the good Samaritan," "you reap what you sow," and "do unto others" but don't actually know the Scriptures or the Savior to which they point. Study after study in the last quarter-century has revealed that American Christians increasingly don't read their Bibles, don't engage their Bibles, and don't know their Bibles. It's obvious: We are living in a post-biblically literate culture. Just as critical is the second word of the Bible literacy problem: literacy. Pew Research tells us that 23 percent of us didn't read a single book in the last year. That's three times the number who didn't read a book in 1978. Whether it's the Internet, video games, the TV or increased time spent on entertainment and sports, Americans are spending less time between the pages of any book, not just the Good Book. The situation should be different with Christians. We believe the Bible is the Word of God—His divinely inspired, innerant message to us. To experience the Bible firsthand, whole people groups have learned to read, and new translations were created. Yet a recent LifeWay Research study found that only 45 percent of those who regularly attend church read the Bible more than once a week. Over 40 percent of the people attending are reading their Bibles occasionally—maybe once or twice a month, if at all. In fact, 18 percent of attenders say they never read the Bible. There is no excuse. It's not as if we don't have access. The average American—Christian or not—owns at least three Bibles. Even those who don't have one in their home can download it free to their smartphone or "steal" a Gideon Bible from a hotel room. The Word of God is more available than ever. People have died to bring us what has led to modern translations of Scripture, yet we are dying from lack of knowledge. Bible illiteracy isn't an isolated problem, though; it's part of a larger pattern of low spiritual engagement that must be addressed. They are all related. Simply put, we have a biblical literacy deficit in part because we have a spiritual maturity deficit. Plenty of research shows the correlation between spiritual maturity and reading the Bible. If you want spiritually mature Christians, get them reading the Bible. That's a statistical fact, but more importantly, it's a biblical truth. Most Christians desire maturity. Our research shows 90 percent of churchgoers agree with the statement, "I desire to please and honor Jesus in all I do." Almost 60 percent agree with, "Throughout the day I find myself thinking about biblical truths." Most of us desire to please Jesus, but few of us bother to check with the Bible to find out what actually pleases Jesus. Reading and studying the Bible are still the activities that have the most impact on growth in this area of spiritual maturity. As basic as that is, there are still numerous churchgoers who aren't reading the Bible regularly. You simply won't grow if you don't know God and spend time in His Word. So, yes, Bible illiteracy is a big problem. But Bible engagement is a key part of the solution. The bottom line is that too many Christians are simply not reading and studying their Bibles. This goes beyond simple trivia questions aimed at revealing how few facts we know about our Bibles. American evangelicals increasingly lack a spiritual depth. Our lives betray a lack of Christian character. We don't seem to be very Christlike to a watching world. So what do we do about it? There are several things we can do to reverse biblical illiteracy here in America. At LifeWay Research, we define Bible engagement as "allowing God, through His Word, to lead and change an individual's life—one's direction, thinking and actions." When we compiled all the data from our most recent study on Bible engagement, we found this maxim to be true: Engaging the Bible impacts one's spiritual maturity more than any other discipleship attribute. In fact, "reading the Bible" topped our list of things we found impacting spiritual maturity (followed by such things as praying for unbelievers, confessing sins and asking God for forgiveness, and witnessing to an unbeliever). With research showing Bible engagement being so important to life change and spiritual maturity, is there any doubt our failure to read our Bibles impacts everything? The Holy Spirit works though the Scriptures, leading us to maturity in every area. That can't happen if we are not in the Word. What Leads to Bible Engagement? 1) Confessing sins and wrongdoings to God and asking for forgiveness. 2) Following Jesus Christ for years (i.e., the longer you've been a disciple of Jesus, the more serious your commitment to engaging the Bible). 3) Being willing to obey God, no matter how costly the decision. 4) Praying for spiritual status of unbelievers. 5) Reading a book about increasing your spiritual growth (excluding the Bible). 6) Being discipled or mentored one-on-one by a more spiritually mature Christian. 8) Attending small classes or groups for adults focused on Bible study. Our research shows that as Christians increase their participation in small groups, their Bible engagement scores go up. For example, average Bible engagement scores were as low as 60.6 when there was little or no participation in small groups, and as much as 79.4 when a believer participated in a small group four or more times a month. No matter how you look at it, Bible engagement is related to spiritual growth. Growing Christians don't just read the Bible; they value and engage it because God is at work in their lives. See the Bible as a whole. It's not just that we read our Bibles, but the way we read our Bibles that increases biblical literacy. I believe there's a link between biblical illiteracy and our habit of fracturing the Bible into pieces and parts. We read a verse here, a chapter there. We need a quick verse for anxiety, so we run to Matthew 6:34 ("Take no thought about tomorrow, for tomorrow will take thought about the things of itself"). We need another verse about fear, so we jump to 1 John 4:18 ("There is no fear in love, but perfect love casts out fear"). These verses can help when we're dealing with life's difficulties, but a steady diet of verses and chapters digested in this way amounts to spiritual "fast food" from our McBibles. We need a whole Bible approach to Bible reading and study. I serve as general editor of The Gospel Project, a curriculum that takes such an approach. In two years, we've gone from zero to over 500,000 weekly users. Why? Because people see walking through the Bible, following Scripture's redemptive storyline, as a way to combat biblical illiteracy. The Bible isn't 1,000 stories or even 66—it's one story. Helping people see this encourages them to read the Bible more faithfully and fruitfully. Some resources for this include The Drama of Scripture (Michael Goheen and Craig Bartholomew), Gospel-Centered Teaching (Trevin Wax), The Story: The Bible as One Continuing Story of God and His People (Zondervan) and, for kids or families, The Jesus Storybook Bible (Sally Lloyd-Jones). Create a plan, personally or congregationally. It's critical for church leadership to challenge believers to be in the Word of God, consistently growing in their knowledge of the Scriptures. I often hear of people who'd rather read devotional books than read the Bible. That's because most of us need a specific plan to consistently be in the Word. One thing I do for my own Bible engagement is to make a habit to read through the Bible once a year. If I simply read the parts I think I need the most, I'll miss a big part of God's design for my growth. Though my tendency, like many Christians, is only to read the New Testament, I need to spend time in the Old Testament as well. It's essential for all believers to get the full picture of God's revelation. You, or your whole church, can follow a plan. There are plenty available online and already in many Bibles. You can lead your church through plans from YouVersion, George Guthrie's Read the Bible for Life or others. The important part is that you and your congregation are engaging all of God's Word. Teach the Bible. Teaching through books of the Bible at church models for the hearers how to read the Bible on its own terms, especially the unfolding of the one storyline of the Bible that culminates in Christ. Fighting biblical literacy means preaching from the pulpit the way people read the Bible—moving through the text. When people see and hear their pastors preaching the text as a whole and allowing the text to determine the message (not vice versa), they go home and read their Bibles the same way. When they see us jumping around the text in sermons, they jump around in life. Let's teach them that the Bible is worth engaging, one book at a time. Use a modern translation. We can combat biblical illiteracy by committing to reading, studying, teaching and preaching from a modern translation. The English-speaking world has never had it so good. In the past 50 years, Bible translation teams have produced a dozen or more very good translations of the sacred text. For the last 400 years, the dominant (almost ubiquitous) translation for the English-speaking world was the King James Version. But the English language has changed. Not only do we not converse in King James English, we don't think in that kind of English. It's important to have a translation that communicates God's Word into our thoughts and beliefs in a natural way. 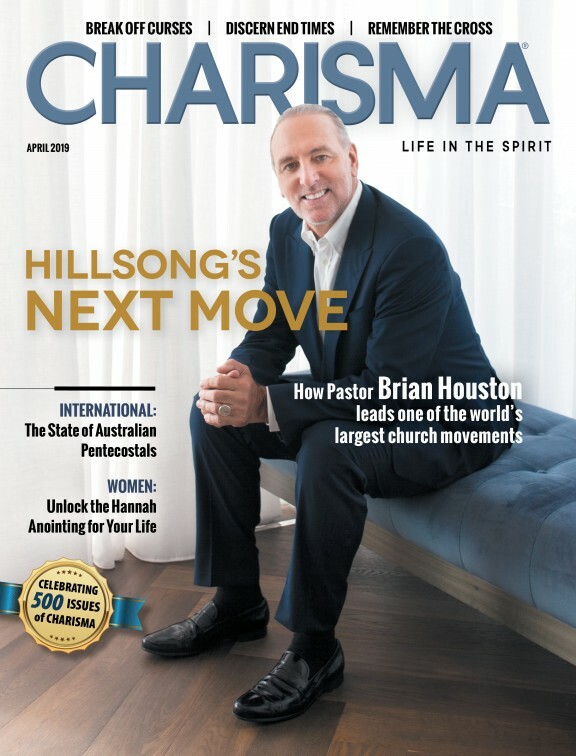 When we read from a translation that resonates with us—something like the Modern English Version, releasing this month and covered throughout this issue of Charisma—we are much more likely to make Bible-reading a habit, and our time in the Word will be much more rewarding. A Bible that communicates in everyday language is one that is much easier applied to everyday life. We take aim at the heart of biblical illiteracy when we commit ourselves once again to the gospel of Jesus Christ. The gospel is not "you do." The gospel is "what Jesus did." Reading the Bible won't make us a Christian, but it helps us to grow as one. The Word that became flesh has given us His Word. In it are the words of life—for us and for others. The more we embrace the gospel and what Jesus has done for us in His life, death, resurrection and ascension, the more we begin to think and act like the kingdom citizens we are. Being part of Christ's new creation means having a new "want to" toward the Scriptures. The Word of God is essential to where we are right now. Grab a modern translation, take someone with you (maybe your whole church), and let's engage the Scriptures to see the change it brings—even to a nation badly in need of it. We need not be dumb and dumber when it comes to the Bible. We can be faithful and fruitful in the Word instead. Ed Stetzer leads LifeWay Research, an evangelical research firm specializing in research on church and culture.